LEGEND INLINE SNOWMOBILE / ATV / UTV TRAILERS ALL ALUMINUM! 2 - 6 PLACE AVAILABLE! SURE-TRAC 3-BOARD HIGH SIDE ALL SIZES AVAILABLE! CAR HAULER WITH 8' x 6' ESCAPE DOOR & REMOVABLE FENDER WELL! FEATURES ARE ENDLESS! CABINETS, 30a ELECTRICAL, THE LIST GOES ON! WE SELL USED GOLF CARTS! GAS OR ELECTRIC - CALL FOR DETAILS AND UP-TO-DATE INVENTORY! 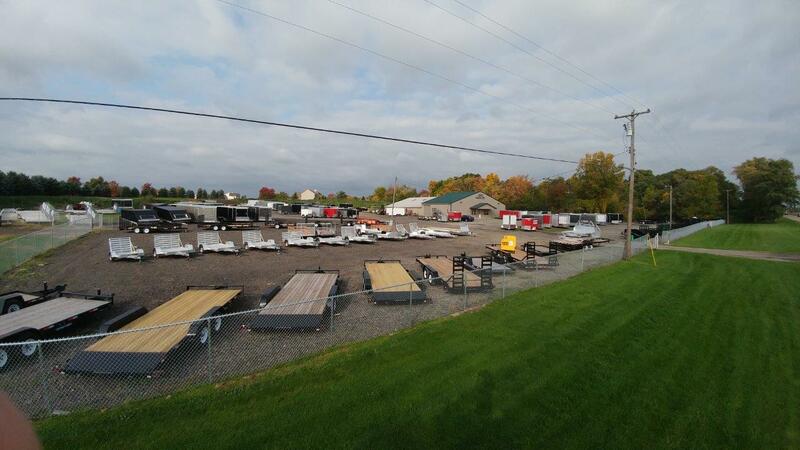 ALUMA ALUMINUM TRUCK BEDS SIZES TO FIT ALL MAKES & MODELS! INVENTORY CHANGES DAILY! PLEASE CALL FOR ACCURACY AS OUR INVENTORY CHANGES DAILY! DUMP TRAILERS HOMEOWNER & COMMERCIAL! ALL SIZES! ALUMA 25th ANNIVERSARY EDITION TRAILERS CONTINUE TO BE A HUGE HIT! GET ONE ON ORDER TODAY!